Chemical Engineering and Materials Science; Information Technology (IT); Academic leadership as University professor, department head, IT dean. 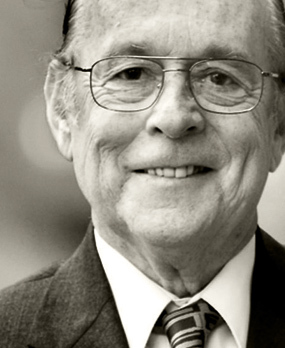 From 1963 to 2008, H. Ted Davis served the University of Minnesota in numerous capacities: including Associate Professor and Professor of chemical engineering, Department head of Chemical Engineering and Materials Science, Dean of the Institute of Technology in the College of Engineering, Physical Sciences and Mathematics, and Director of the BioTechnology Institute. How has he transformed the scene? Howard Theodore Davis—better known as H. Ted Davis or simply “Dean Davis”— was himself an institution at one of the leading academic institutions in the country, the University of Minnesota. In 1997, Davis was awarded a Regents Professorship for outstanding academic distinction: the highest recognition given to U of M faculty. He served the University and its students in various roles for a remarkable 45 years. As Department Head of Chemical Engineering and Materials Science (CEMS), Davis led the program to a number one national ranking. In the process, he inspired and empowered a generation of young engineers. While Dean of the University’s Institute of Technology (1995-2005) Davis worked tirelessly to secure the necessary resources to support a top-notch learning experience for students. He is credited with developing the Digital Technology center, establishing the Department of Biomedical Engineering, making strategic hires to increase diversity and bring technology “superstars” onto the faculty roster, and adding degree programs in biomedical engineering, computer engineering, bio-based products engineering, and professional master’s programs in software and infrastructure systems engineering. During his tenure at the “U,” Dean Davis also served the broader Minnesota IT community by securing and/or maintaining critical National Science Foundation centers for high-tech training: the Institute for Mathematics and Its Applications, the Materials Research Science and Engineering Center, the National Center for Earth-surface Dynamics, and the Multi-Axial Subassemblage Testing Laboratory. Davis’ own scholarship and research in the chemistry realm (he held a doctorate in chemical physics) focused on the flow of fluids, with applications in industrial coating processes, pollutants in groundwater, oil recovery, and nanotechnology. He worked throughout his professional career to advance scientific understanding through his authorship and co-authorship of more than 500 papers and three textbooks. In early 2008 he stepped with enthusiasm into a new role as Director of the University’s BioTechnology Institute, a post he held until his death in May of 2009.